Catalogs list datasets, visualizations and APIs. They are generally where people can organize, search and browse these items. 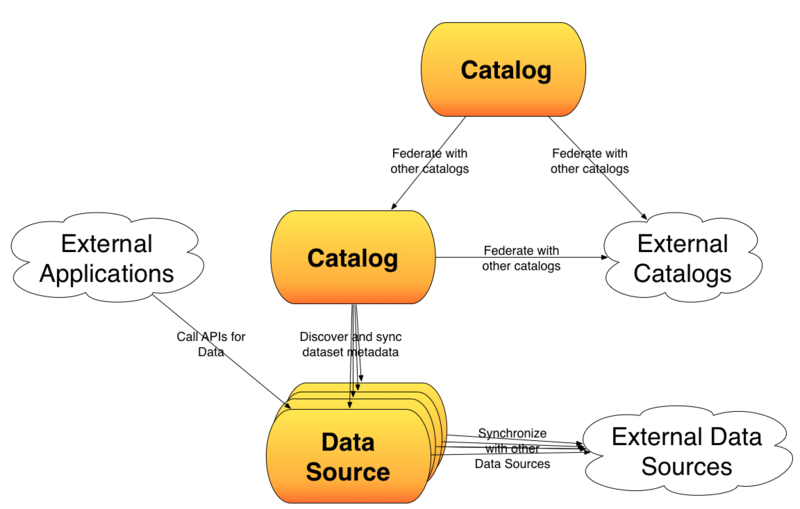 Data Stores exist to store and serve-up the actual data and metadata around each dataset. They are generally where people can view the contents of a dataset, and sometimes create visualizations and derived datasets from them. Each of these abstractions need to have standard ways of interacting. Protocol and format for exposing their entries.